I must say, there were a lot of trends throughout 2018 that I absolutely loved and animal prints were just one of them! It was so nice to see them come back in a way that was refreshing. 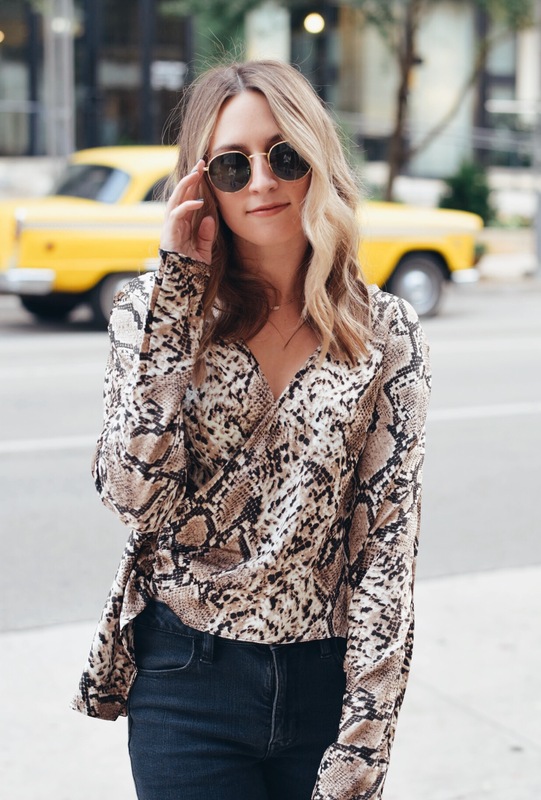 Now, I'm not sure if you're a plain Jane that likes to keep it neutral and non risky but animal print is the new neutral so take some risks girl! Since trends do come and go (sometimes like rapid fire) I don't like to splurge too much on items like this. Which is why I've listed my top favorite online stores to shop current trends! Believe it or not, there are a good handful of them! 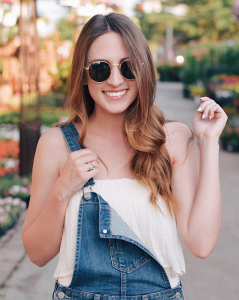 These stores make it so easy to stay trendy without breaking the bank! The top photographed I actually got at Runway Seven at their Highland Village location in Texas. Unfortunately it's not online but I did link a few similar options I liked! The thing I loved so much about this particular top is that it looks like a wrap top but it's not. Sometimes with wrap tops I don't feel as secure, unsure if everything will stay in its place like they're supposed to but with this one there's no showing anything here. It's flirty, fun and a little modest! I also get so many questions about my favorite sunglass dupes so I again, linked them above.